Sony was proud to announce today that they will be releasing in November a new TV that they are calling a quad-HD display. The TRIMASTER SRM-L560 features a 56â€ LCD screen that uses LED backlight technology. The screen also comes with a QFHD (3840 x 2160) HD resolution. Sony designed this display to do one of three modes, either a 4K HD/QFHD mode that uses the entire screen, a quad mode that splits the screen into four separate displays, or the screen can zoom in on 2K (2048 x 1080) resolution images. 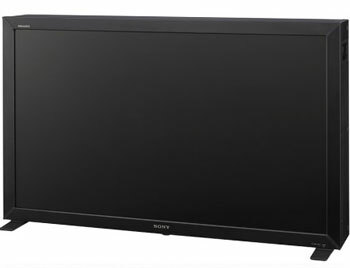 Sony designed this HDTV for business and other industries that require a professional display, which would explain the really high $76583 price tag. Unfortunately Sony has not released any additional information at this time. This entry was posted on Tuesday, October 6th, 2009 at 4:30 pm. You can follow any responses to this entry through the RSS 2.0 feed. Both comments and pings are currently closed.